Big Island Police have charged three men arrested Thursday (November 18) in connection with a series of crimes in Hilo. 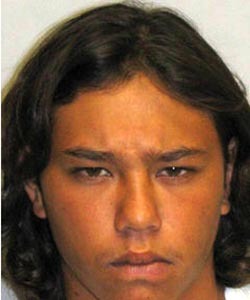 At 3:30 p.m. Friday (November 19), Area I Criminal Investigations Section detectives charged 18-year-old Luke Keaulana of Hilo with second-degree theft, first-degree unauthorized entry into a motor vehicle, theft/forgery of a credit card, seven counts of fourth-degree criminal property damage and two counts of third-degree criminal property damage. His bail was set at $8,750. Kalani Puu, 19, of Hilo was charged with four counts of fourth-degree criminal property damage and two counts of third-degree criminal property damage. His bail was set at $2,750. George Labrador, 21, no permanent address, was charged with second-degree theft, first-degree unauthorized entry into a motor vehicle, third-degree criminal property damage and seven counts of fourth-degree criminal property damage. His bail was set at $29,000. 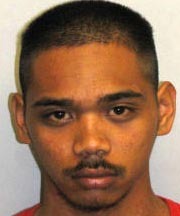 The charges stemmed from reports of three suspects spraying graffiti on construction equipment in the Hilo area. South Hilo Patrol officers apprehended Keaulana, Puu, and Labrador for the damage and learned that they were also suspected of similar graffiti near the downtown Hilo area. 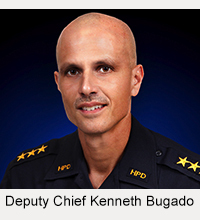 In addition, officers discovered a private vehicle was entered and several items were stolen. Police were able to recover most of the stolen property. 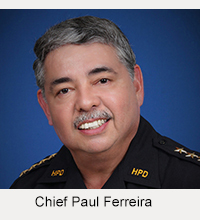 All three suspects were being held in the East Hawai’i Detention Center pending their initial court appearance.